Tomato Basil Chutney with fresh basil is simple and so delicious on fish, beans, chicken, whatever. You are gonna love this recipe. Tomato Basil Chutney with fresh basil. Hi. It’s Lois in the kitchen at Recipe Idea Shop, telling you about this super fabulous Tomato Basil Chutney. 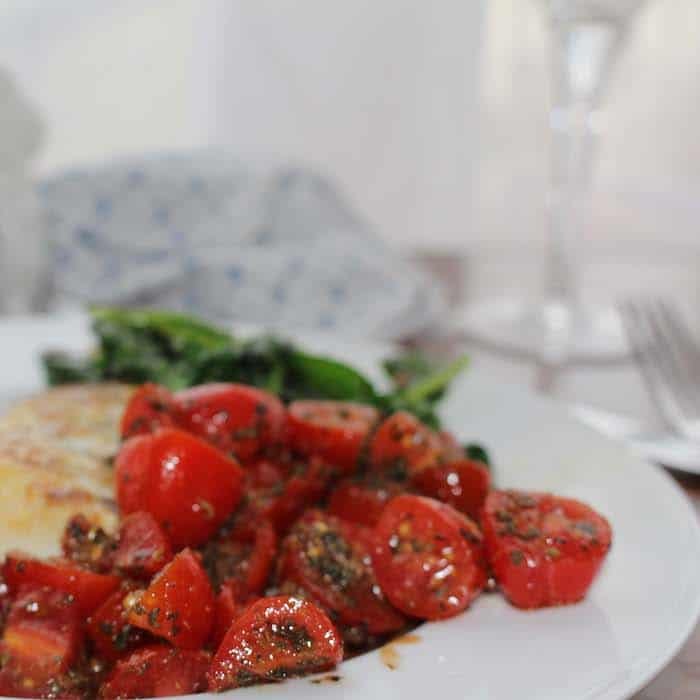 I cannot remember where I original found this recipe, but it is absolutely smashing as an accompaniment to grilled fish, simple lentils or Black Bean Ful. You can add it to a salad for a touch of beauty and a whole lot of flavor. 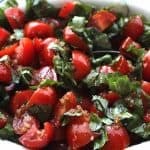 Tomato Basil Chutney has become one of my all-time “go-to” recipes, and it takes about 10-15 minutes to prepare. For best results, use fresh basil, but dried will work too. 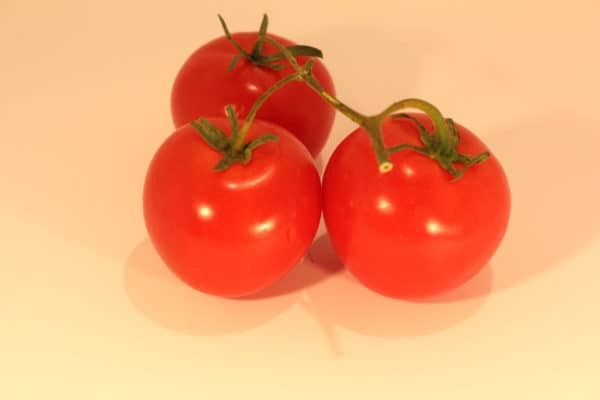 I tend to use grape or cherry tomatoes—especially in the winter and early spring when fresh, local tomatoes are not available—but you can use any tomato for this. I believe the original recipe called for campari tomatoes. Those are the small tomatoes that come together in a group with the stems still attached. You’ll need basil. 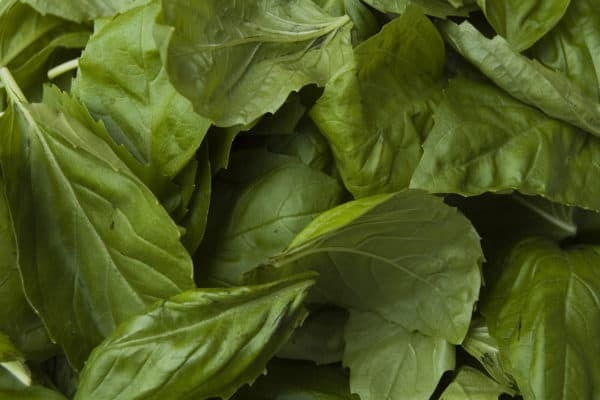 Basil has a little licorice flavor and it is a wonderful addition to many recipes, including tomato sauce, salads and Bruschetta. It is one of my favorite herbs. Don makes an excellent Pesto Besto basil pesto from the basil we grow on our porch each summer. Finally, you will need minced garlic. I use a Pampered Chef garlic press if I mince my own garlic. It’s sturdy and works great. I find it easier to clean if I leave the skin on the garlic clove when I press it. Have you tried that? Doesn’t this look amazing? And it doesn’t even have fresh basil in it. But lately, I have been buying the jarred minced garlic. It’s such a time saver. Mix until emulsified: cumin, garlic, oil, vinegar and salt and pepper. 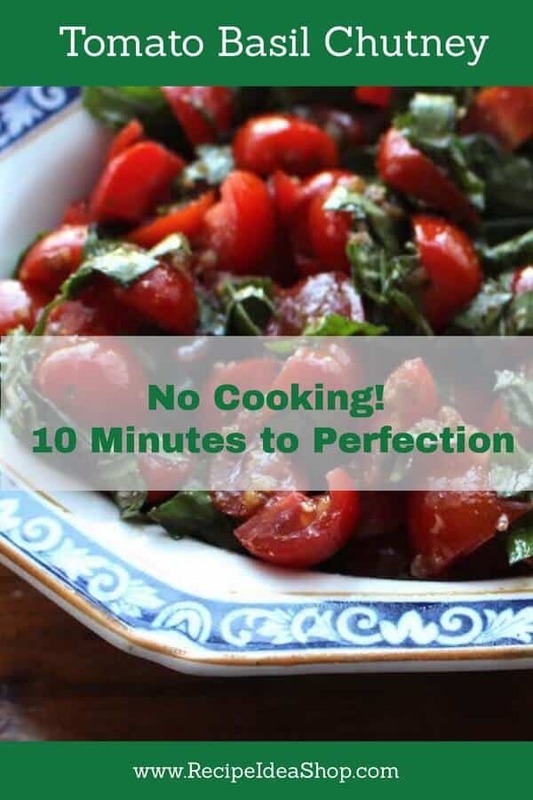 In a medium bowl, lightly mix the basil and tomatoes. Pour the oil mixture over the tomatoes and basil. 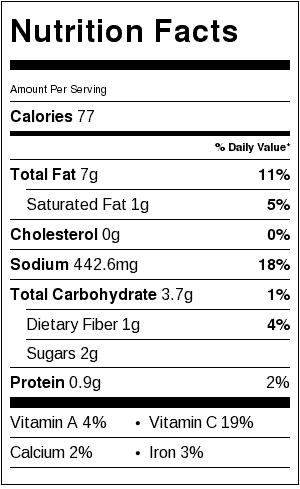 Tomato Basil Chutney Nutrition Label. Each serving is about 3/4 cup.